Nobody talks about Left Shark anymore. For a couple of weeks, you couldn't go anywhere without someone talking about Left Shark. For those who weren't paying attention at the time, a few years ago Katy Perry did the Super Bowl halftime show. This show was a spectacle; a barrage of colors; an assault on the senses. Partway through the show, there were a couple of people in shark costumes that danced next to Katy. The shark on the right hit all of its marks, and followed all of the dance moves perfectly. The one on the left....didn't. It basically bumbled and flopped its way through the dance number. 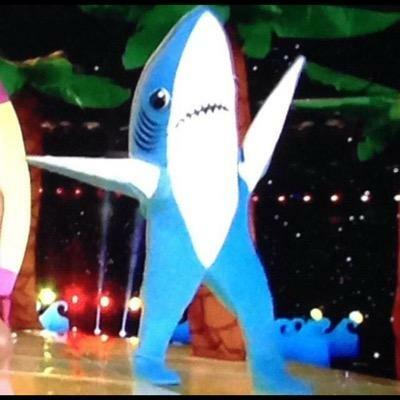 Left Shark was terrible, and won the hearts of millions of viewers. Nobody talks about BoatyMcBoatFace anymore. A couple of years ago, a scientific research vessel was built, and the scientists allowed people to vote on what the boat would be named. A few names were in the running. Unfortunately, the scientists allowed for a "write-in" candidate, and the internet is the internet, so someone wrote in BoatyMcBoatFace. This name won by a landslide. The scientists were not happy. For a couple of weeks, you couldn't go anywhere without someone talking about BoatyMcBoatFace. Both of these stories have been all but forgotten. You and I haven't heard anyone talk about BoatyMcBoatFace or Left Shark for at least a year. Both of these stories transcended political divides, interpersonal differences, and religious differences. All people, everywhere, came together to share in these ridiculous stories. And now they're pretty much gone. We often have moments that unite us in spite of the divisions we might have. Each week, we come around the Lord's table. In this moment, around this table, we're united in Christ. We remember, together, the Lord's death until he comes. Each week, we come together despite our differences. We come together to unite once again. We come together to proclaim the Lord's death, together. We come together to remember, together. The divides and stress and anguish and worry and heartache and pain of the world can cause us to pull away from one another and to forget how Christ has brought us together. As we come to the table each week, we're reminded of our unity in Christ. As we gather, as we eat the bread and drink the wine, let us remember, together, the Lord's death until he comes. I love this so much. I'm glad it came up in the midst of reading your series around mental health -- feels like a respite along the road. Left Shark is the rest stop of connection we all need.